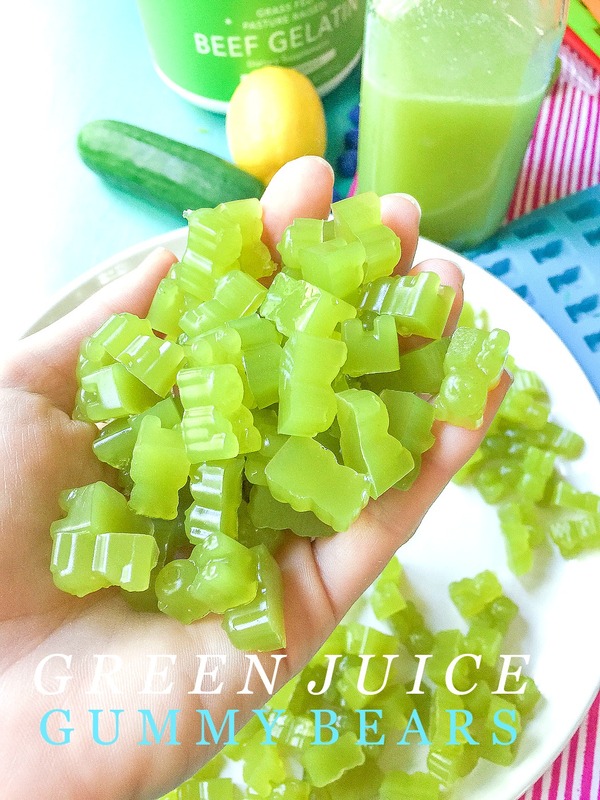 Healthy Homemade Green Juice Gummy Bears, Sugar-Free, Dairy Free, Gluten Free, Refined Sugar-Free, Preservative Free, No Added Colors, or Artificial Flavoring. No matter how old I get, I’ll never turn down a gummy bear. I don’t know if it’s the chewy texture and fruity flavors that I love, or if it’s the nostalgia of being a kid that comes along with each bite. 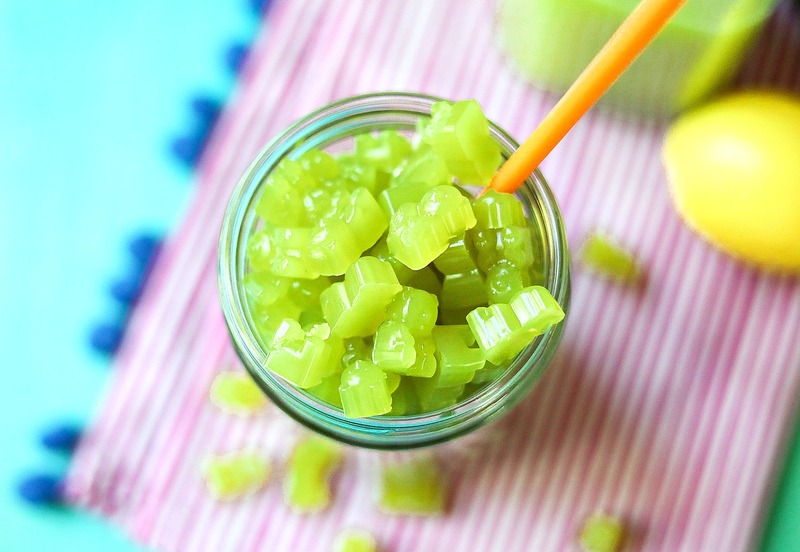 About five years ago, I made some pretty healthy gummy bears on my blog. 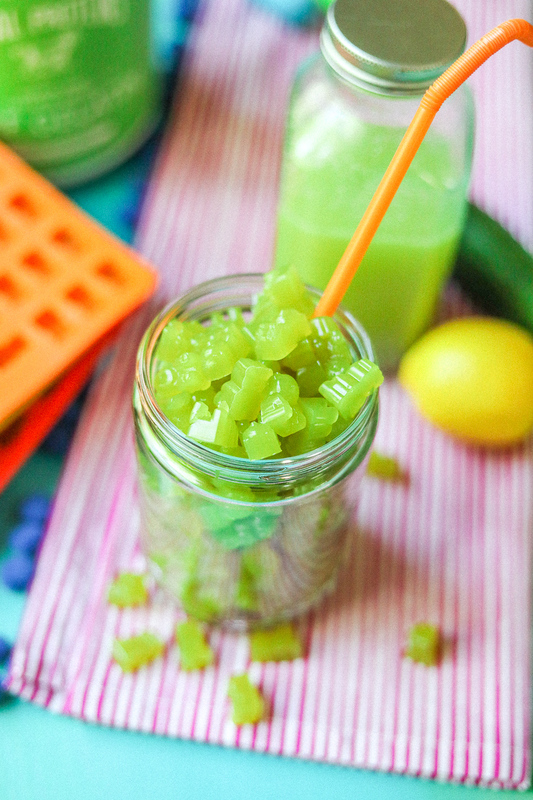 They ended up being a huge hit, but I think these green juice gummy bears are even better. Why? Well, they’re less work, take about fifteen minutes to make, they’re gluten free, dairy free, refined sugar-free, nut free, and paleo friendly. 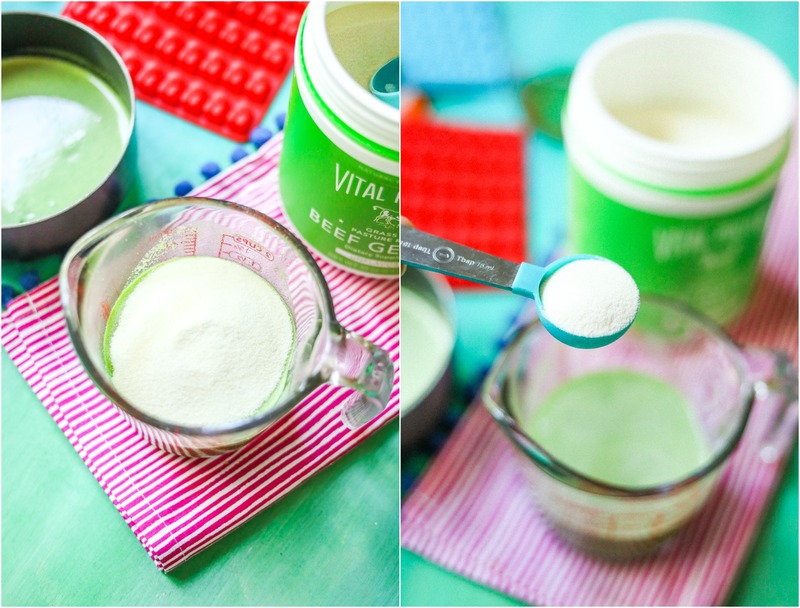 I’ve also decided to try out Vital Proteins this time, and I feel like it made a huge difference in the texture. 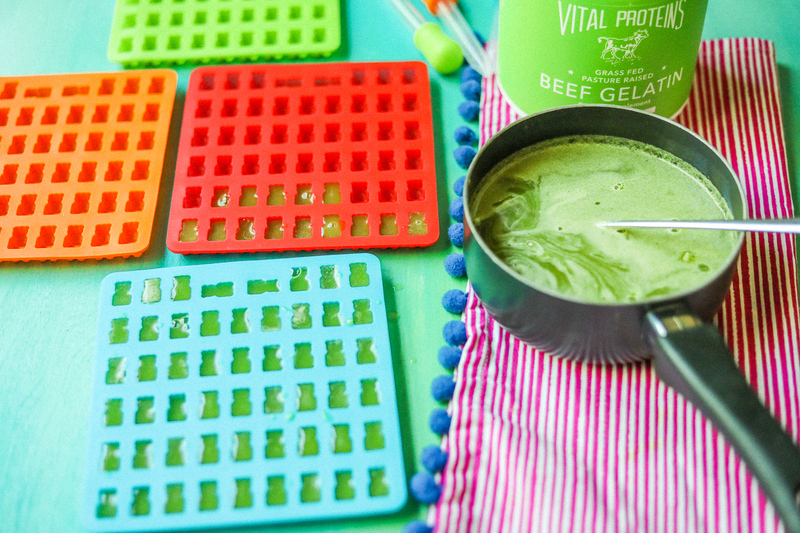 Vital Proteins (tasteless) beef gelatin is a 100% pure collagen protein dietary supplement. 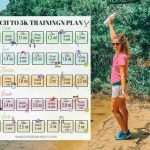 It’s so good for your hair, skin, nails, your joints, and can improve your gut health. Instead of indulging in sugary gummy bears, these healthy alternatives are high in protein! They’ll add a punch of nutrients while giving you the candy fix. 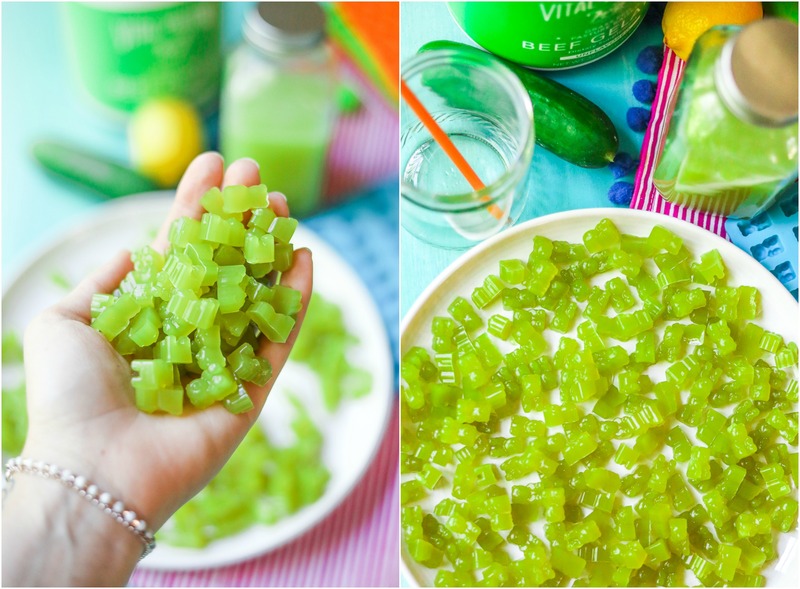 If you have kids, this would be such a fun activity and recipe to make with them! It’s a great way to get them to eat their fruits and vegetables too! I found the cutest little inexpensive gummy bear molds online. 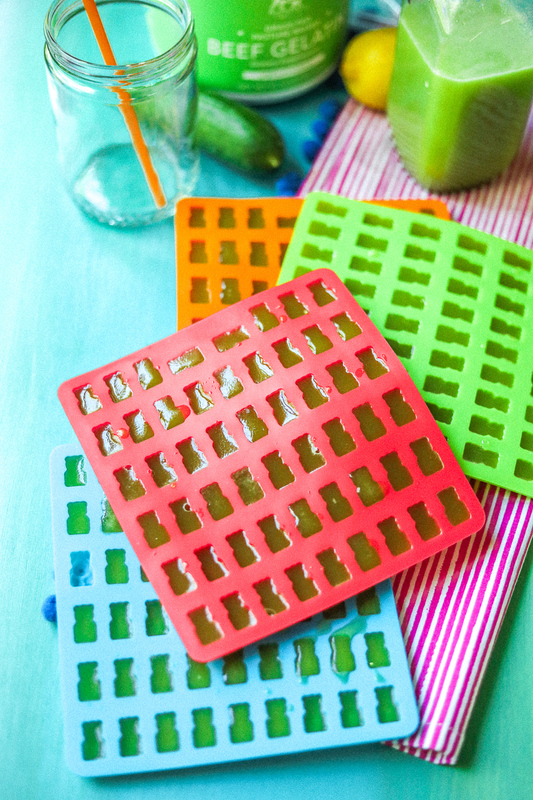 If you don’t have molds or want to make these asap, you can just pour the mixture into any bowl or dish, and cut them into squares once they’ve chilled. Let’s get to the juice. 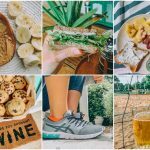 You do not have to do green juice or follow my juice recipe. And if you don’t have a juicer, you can also purchase juice at the store for these. This recipe will work with any liquid. I decided to stick with my go-to green juice recipe. I used lemons, green apples, kale, spinach, cucumber, celery, and a lot of ginger! Once you’ve juiced all of your fruits and vegetables, you’ll want to remove the foamy layer off the top. But, don’t waste it! Add it to a different cup and drink it. That foamy layer has a ton of nutrients, and if you used a lot of ginger, it’ll have a nice kick to it! I think that was my favorite part. Add one cup of the fresh juice to a pot, and another cup in a separate bowl. 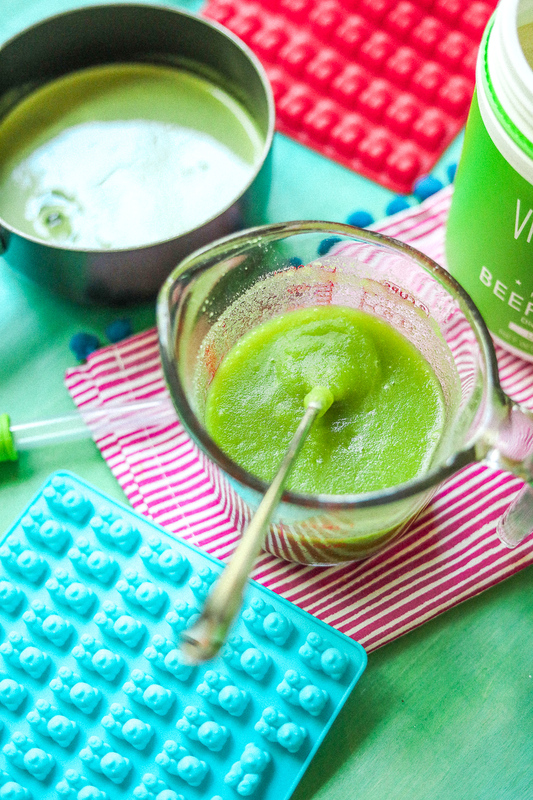 Add seven tablespoons of the gelatin to the cup, mix well, and set aside. 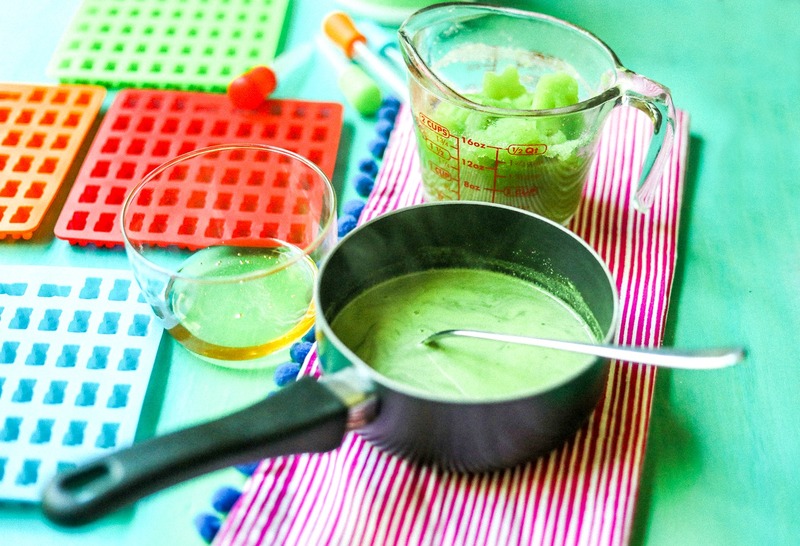 The gelatin and the green juice will start to thicken. While that’s happening, heat the green juice in the pot on a medium heat. You don’t want it hot enough to boil, but hot enough where you can see the steam coming from the green juice. Turn off the heat, and mix in the cold gelatin and juice mixture. 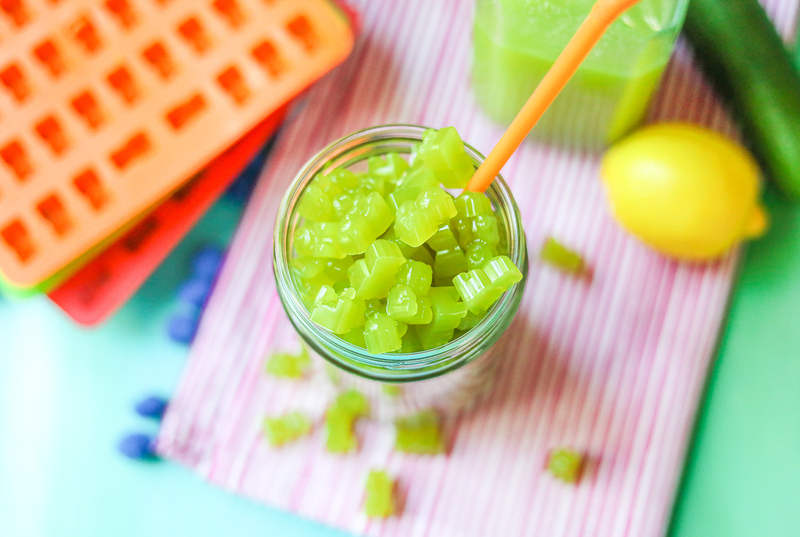 Fill the gummy bear molds. Refrigerate for about 10-13 minutes. I was shocked at how fast they became firm. The gummy bears will pop right out of the molds! Juice your fruits and vegetables. Remove the foam layer from the top of your juice. Add one cup of juice to a saucepan, and set aside an additional cup of juice. 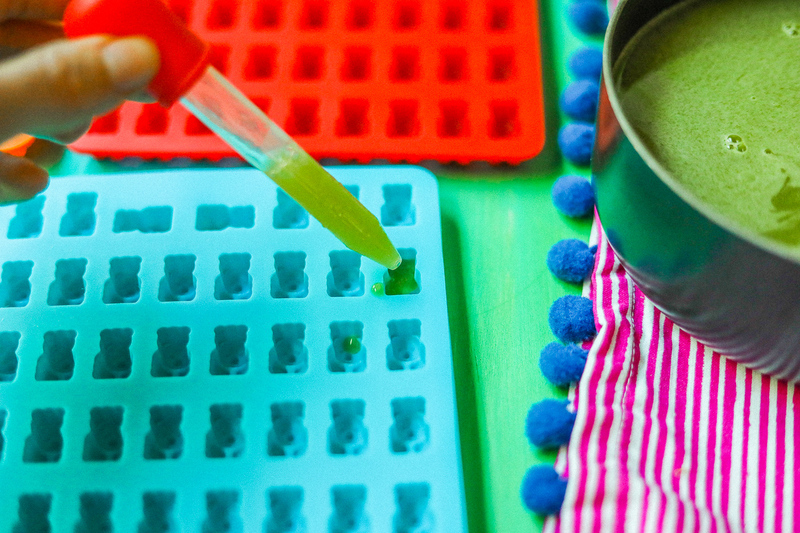 Stir the gelatin into the cup of juice (that is not in the saucepan) Mix well, and set aside. Heat the juice in the saucepan over medium heat until the juice starts to steam. Do not bring the juice to a boil. 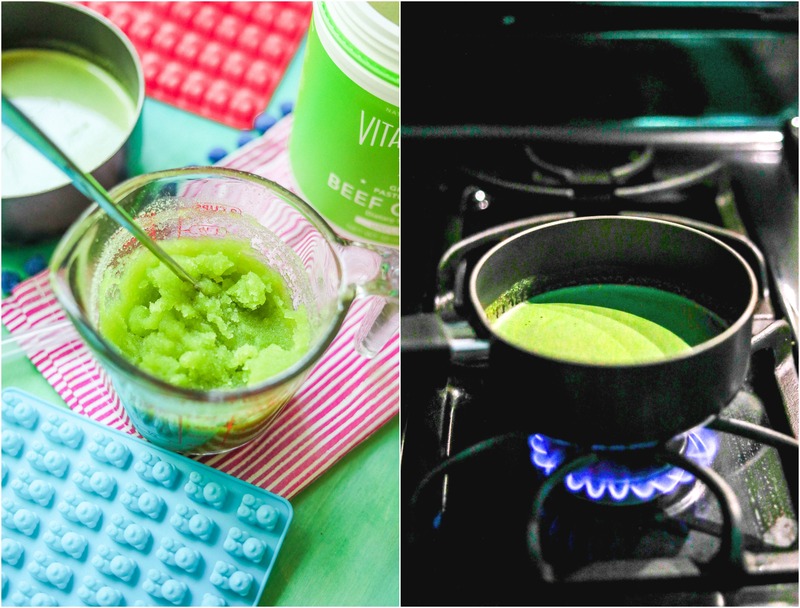 Add the gelatin and juice mixture to saucepan with the warm juice. Stir until the gelatin is dissolved and no lumps remain. Fill molds with the mixture. Have you ever made homemade gummy bears? 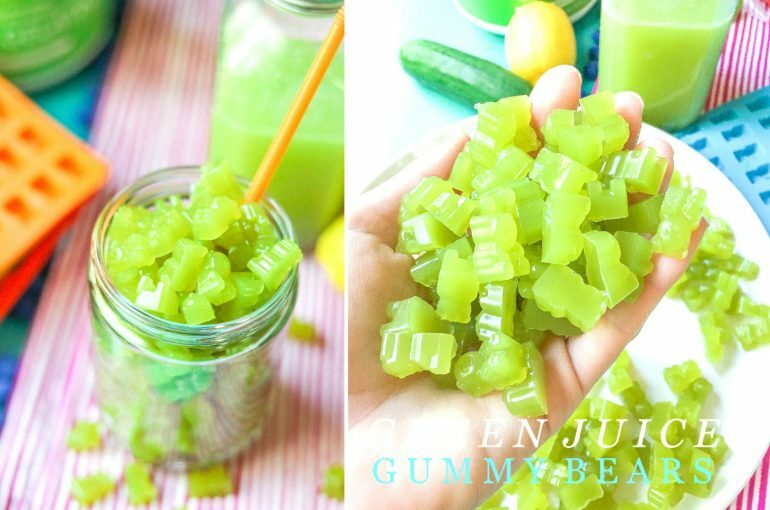 I tried a similar recipe before, and the gummies just tasted like gelatin and had a funny texure. How do these taste? 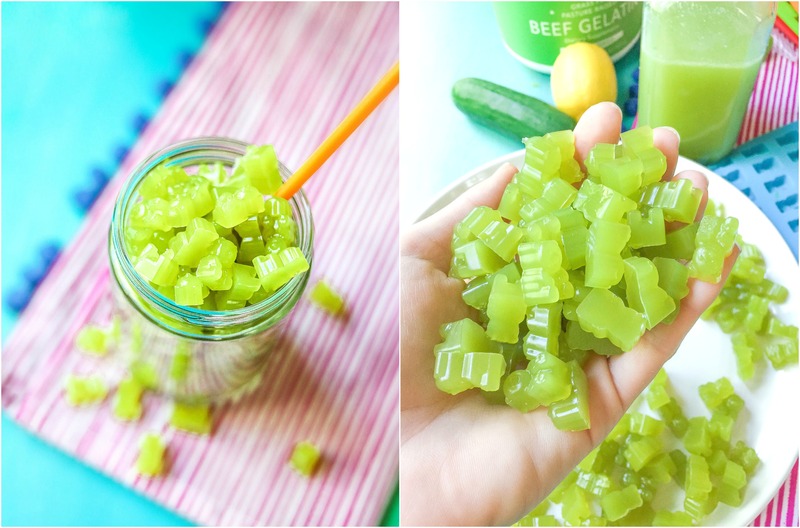 Is the texture similar to a normal gummy bear? 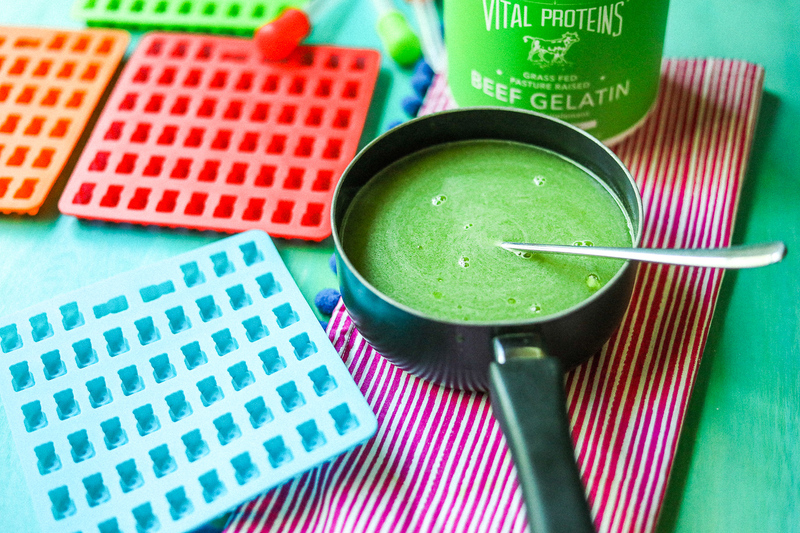 Did you buy the vital proteins beef gelatin? These won’t work with their regular collagen. Yup! 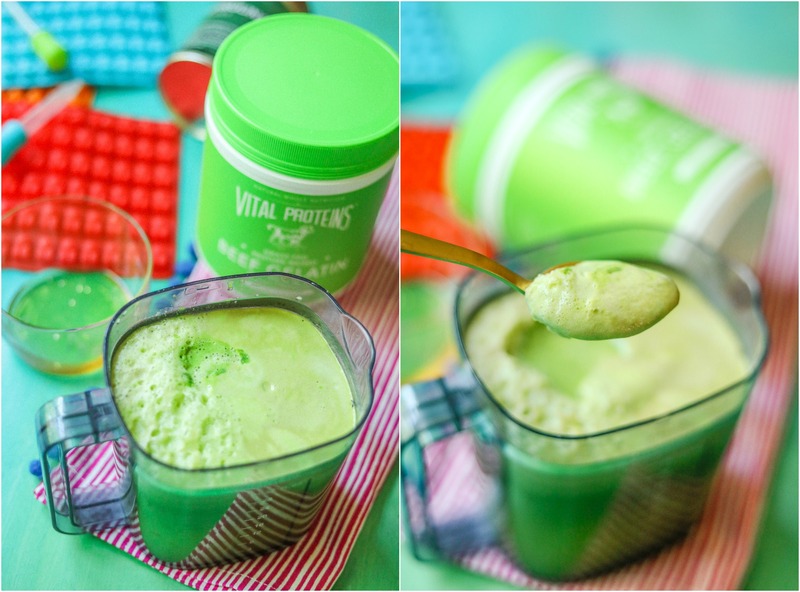 Vital Proteins Beef Gelatine! And you did 2 cups of liquid + 6 scoops of gelatin? I figured it out! I ended up combining 1/2 cup juice, 2 tablespoons gelatin, and 2 tablespoons sugar in a small saucepan and heated until steaming then added to my molds. It worked great!!! That amount made 150 mini-gummy bears which I calculated have 1 gram of protein per 7.5 bears. Thanks for the recipe Taralynn!!! 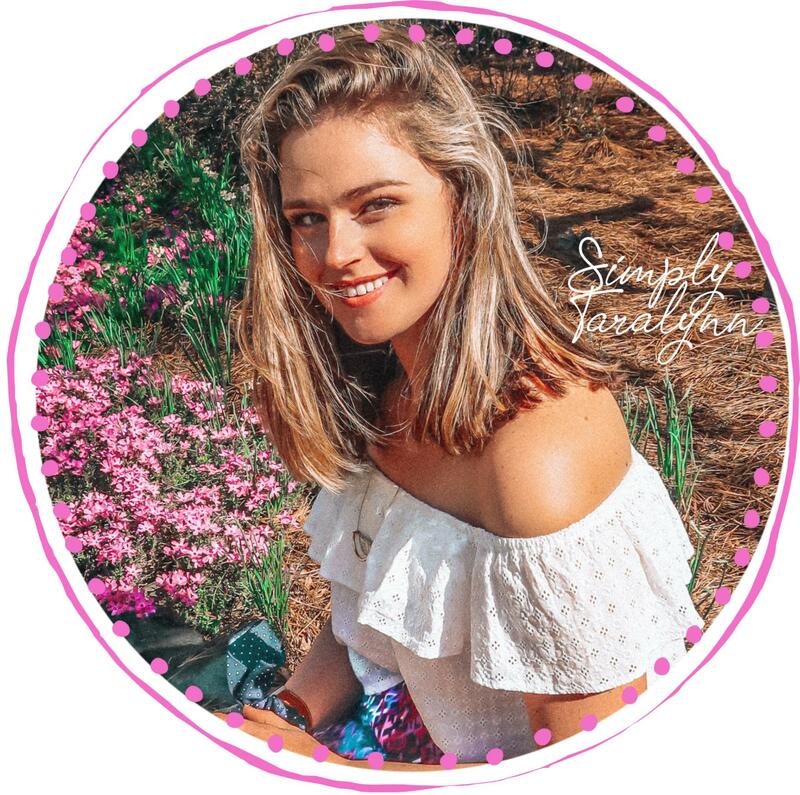 Oh my gosh, I just bought some gummy bears from Lucky’s Market and was thinking how cool it would be to have a good, healthy recipe for my candy addiction! THANK YOU! I’ve never made ’em before, because they seemed too daunting, but now I’m excited to try. Have you ever made pina colada ones? Gummy bears and gummy fruit snacks are my absolute favorite and always in my house. My son loves them as much as I do. I’m excited to try these out and get some extra goodness in his diet and not have to bribe him with actual fruit snacks to eat healthier things. What is the shelf life on these in the fridge? If I wanted to make bulk batches. 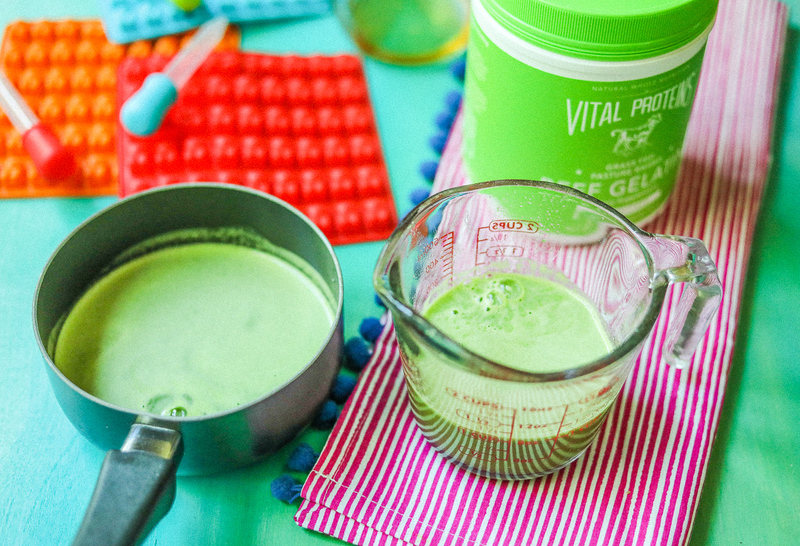 Do you know if this would work with collagen peptides or it has to be beef gelatin? Thank you!! Hey, Tara! 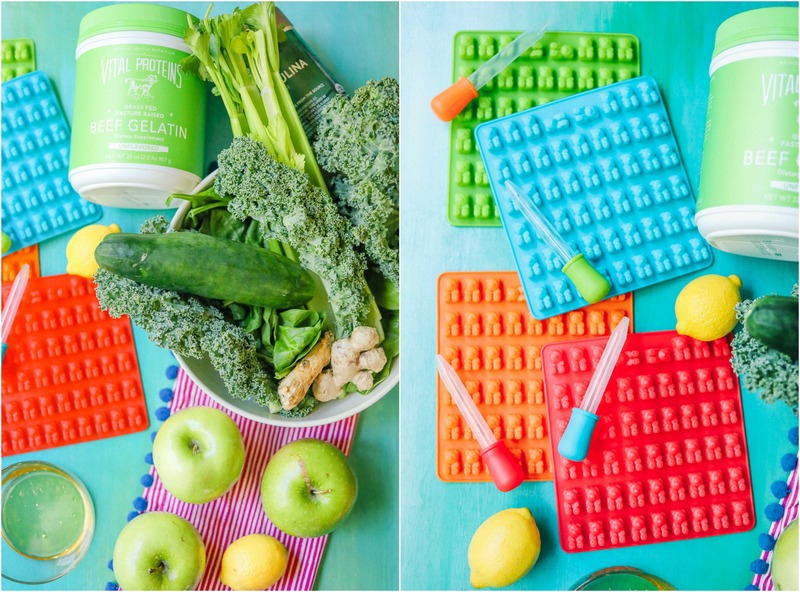 Do you know how these compare calorie-wise to your average gummy bear? Also, you specifically mentioned these particular gummies are nut and dairy-free; I admit I sometimes assume things about the food I eat, but do most gummy bears have those things? I generally try to avoid dairy, but I didn’t think gummies were something I needed to check! I didn’t add the nutrition facts because I don’t know the exact numbers in the juice I make. But the comparison to store-bought gummy bears is significant. LOTS of protein in these ones. Do you have any recommendations for a vegan alternative to the gelatin? 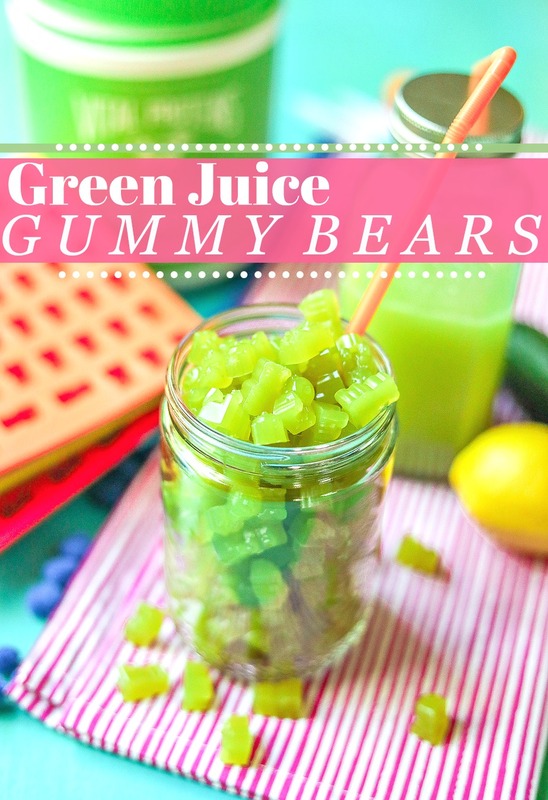 Love this idea of healthy gummy bears, and always love your blog!! 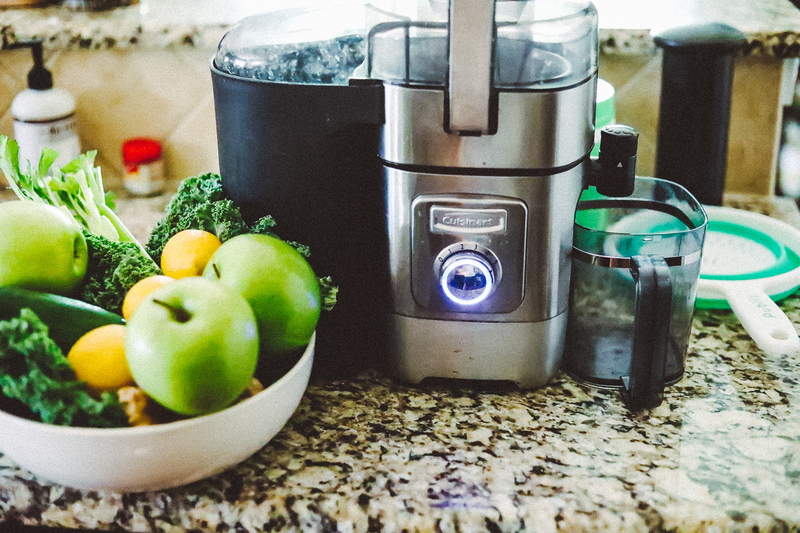 Do we have to use a juicer? Can we mix it in a nutribullet? Maybe add more lemon for a liquid consistency? I don’t have a juicer, but I would like to try these! Awhhh those look amazing! I too loveeeee gummy bears! They are one of my favorite candies – this looks soo good. I need to give it a try asap.! Have a good weekend girl!! Lol I could add ALL the ginger!! Gummy bears are seriously a weakness for me! I just can’t resist them, especially the pineapple ones. Who knew they were so easy to make! I haven’t juiced in awhile, but I’ll have to bust out the juicer one weekend to make these! What’s the calorie count looking for these? This is such a cute idea! I love how bright and green they are. I’ve tried to make homemade gummy bears but I attempted to use agar, which is a vegan swap for gelatin. They firmed up, but definitely weren’t like a chewy gummy bear. More like, a squishy fruit thing haha. But still, it was fun! I vote for a berry flavor. That would be so pretty! And ALL the ginger! Best flavor EVER. Especially in juices! How many gummy bears does this make? I’m excited to try! Would you say they are chewy as Gummy Bears? I question the chewiness of gelatin. Could you add stevia or Splenda? Would you add before you put it on the stove or after? I wonder if it would affect the “setting” of the gelatin! 💚 love it! You can add anything you’d like. I’d mix it in when the mixture is warm!